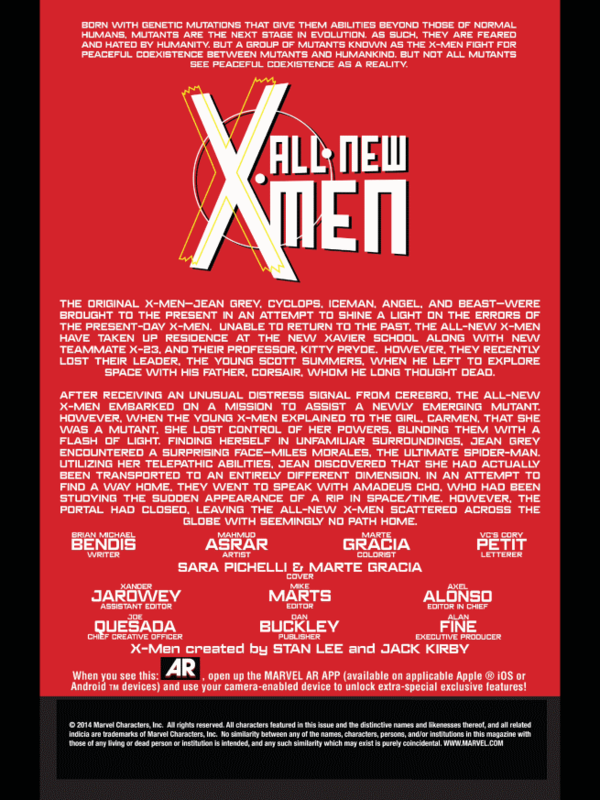 Marvel Comics readers who pay close attention to the recap/credits pages they include in their comics may have noticed a small but incredibly significant addition in this week’s releases. At the bottom of these pages in All-New X-Men #33, Fantastic Four #12, Inhuman #7, Wolverine and the X-Men #11, and Death of Wolverine: Deadpool & Captain America #1 is a creator credit for Jack Kirby. The first four issues listed credit Kirby and Stan Lee as creators of the X-Men, the Fantastic Four, and the Inhumans. The latter issue credits Kirby and Joe Simon as creators of Captain America. The addition of Kirby’s creator credits is part of the settlement reached by the Kirby family and Marvel Comics last month, ending the five year legal struggle over the rights to many of Kirby’s most popular – and profitably – Marvel Comics creations. 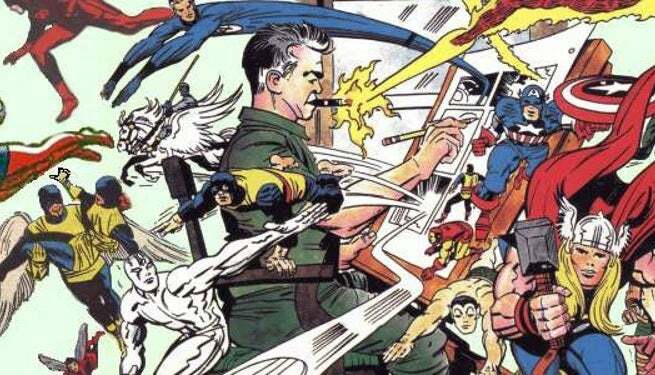 The Kirby estate was suing over the rights to 45 Marvel Comics characters, so expect to see Kirby’s long over due creator credit on an increasingly large number of Marvel books as the weeks go by.